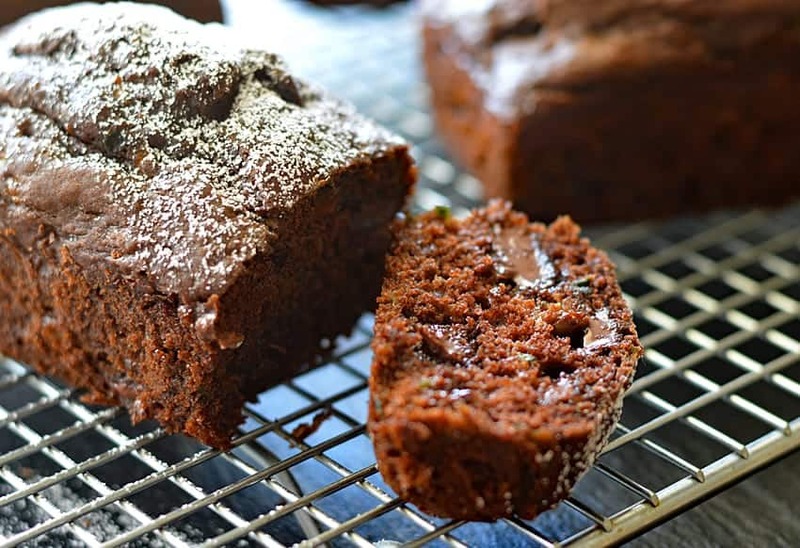 Vegan Chocolate Zucchini Bread. 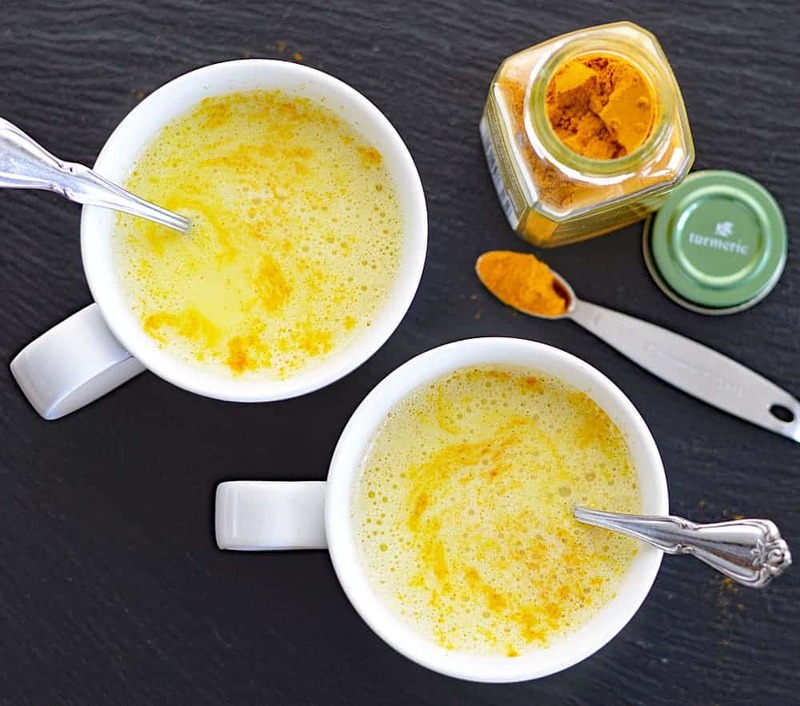 This is a recipe that is long overdue! First of all, if you have followed me for awhile, you know I absolutely love making these little loaves. I’ll enjoy one or two, then wrap and freeze the rest for another time. I make them in this mini loaf pan from Wilton. You probably also know I love chocolate by now. 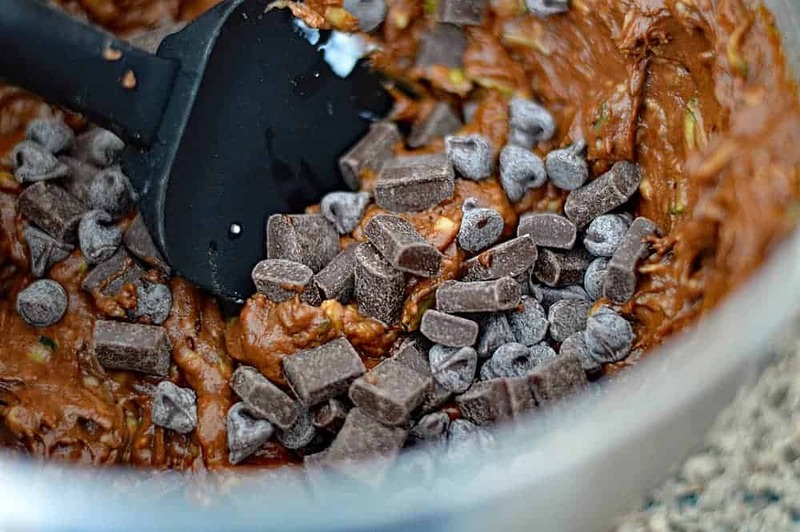 This one uses cocoa powder, vegan chocolate chips and chocolate chunks. I have started seeing them both in my local Safeway store and sometimes even Walmart in the baking section. Of course, if you have a Whole Foods, Sprouts, Traders Joes, etc. you can certainly find them there. 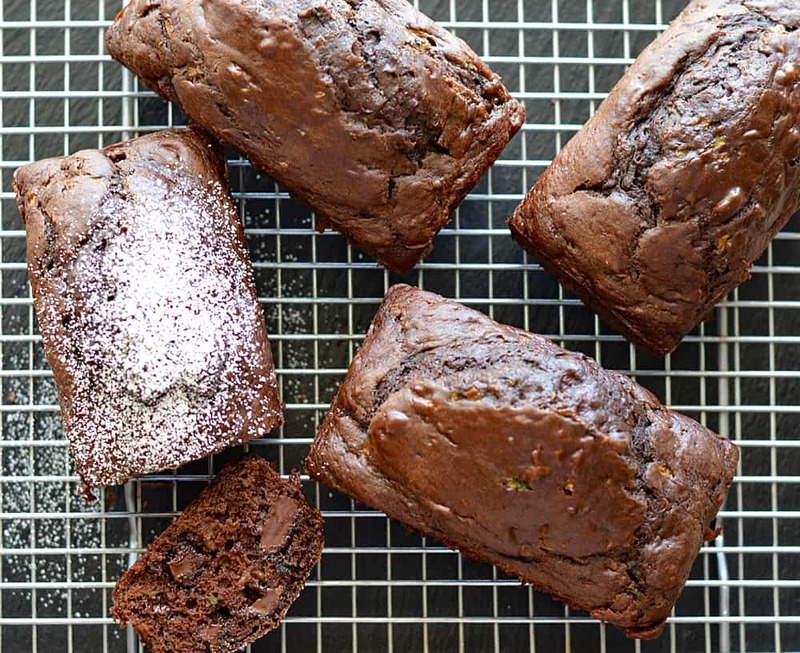 The secret ingredient to keeping this loaf light, airy and moist is zucchini! I use a box grater to shred them, skin on and no need to remove the liquid from those shreds. I highly recommend the addition of the chocolate chunks. It makes these loaves so ooey and gooey when warm and that’s my favorite way to enjoy them…warm. I dust mine with a bit of powdered sugar if serving to a guest. A scoop of vegan vanilla ice cream couldn’t hurt either. 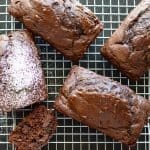 If you made this recipe for Vegan Chocolate Zucchini Bread, let me know in the comments section below. If using the almond milk/vinegar mixture, prepare this first and allow to sit. We are essentially making a homemade buttermilk. Preheat oven to 350 degrees and prepare loaf pan with cooking spray. 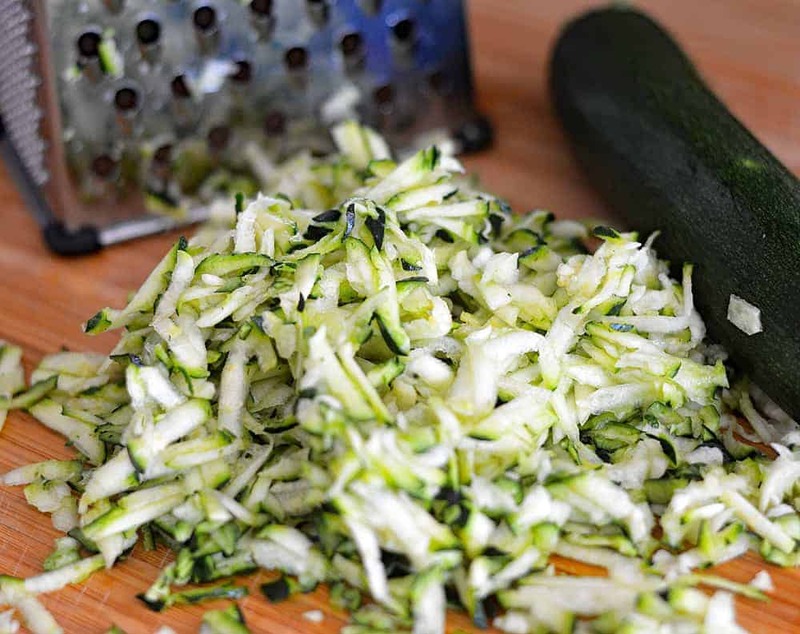 Prep the zucchini by shredding (skin on). There is no need to remove any excess moisture. Add all ingredients to the bowl of a stand mixer (except for the powdered sugar + chips/chunks) and mix until well incorporated. Fold in the chips/chunks by hand so as not to break them up. Divide between mini loaf pans and bake for about 20-25 minutes or until a toothpick inserted comes out clean. Every oven is different, so be sure to test. Allow to cool a bit before serving and top with powdered sugar. Did not work for me at all. The batter was too wet without removing the excess moisture from the zucchini, and never solidified. They rose beautifully in the oven at first, then fell and were still mushy inside no matter how long I cooked them. The flavour is nice, so I might try microwaving them to make a ‘molten’ version. I’m sorry to hear that Nicole. 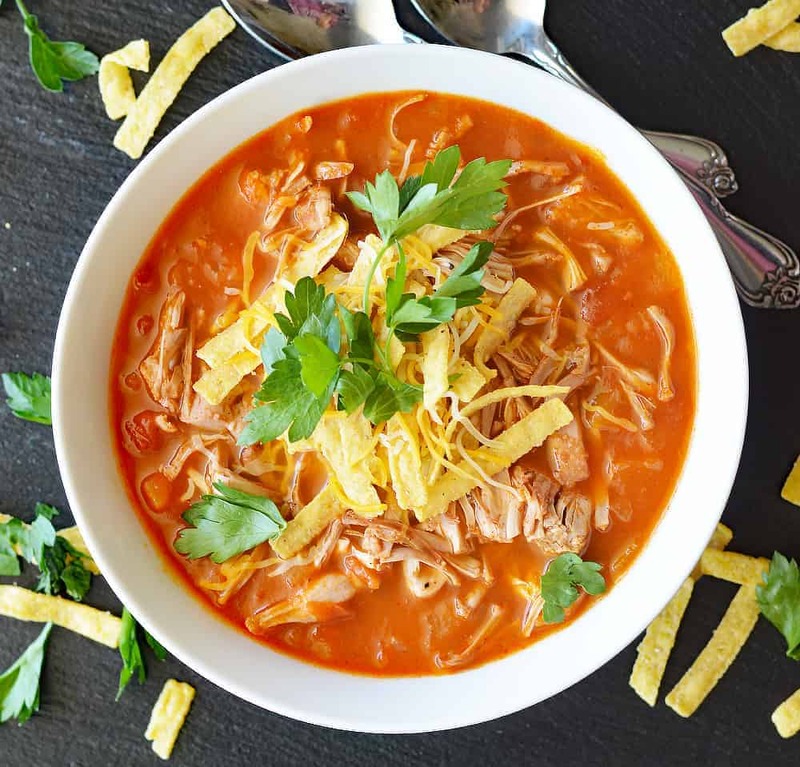 I have made this about 5 times and have never removed the excess moisture, but perhaps it should be written into the recipe since you had trouble. Thanks for letting me know!